From 3-ingredient Sweet Potato Dip and a 5-minute soup, think way outside that marshmallow casserole. Canned sweet potatoes deliver on taste and nutrition. This post has become one of our most popular ever. I’ve updated it with new photos and information. Disclosure: I was asked to write about some of Aldi’s holiday items; as a long-time Aldi shopper, I was happy to do so. I was compensated for my time. Opinions are my own. You know that ooey-gooey marshmallow-topped sweet potato casserole made with canned sweet potatoes? Thumbs up, or thumbs down? Now, here are just 5 yummy things to make with canned sweet potatoes. For all the recipes below, drain and rinse the sweet potatoes first. 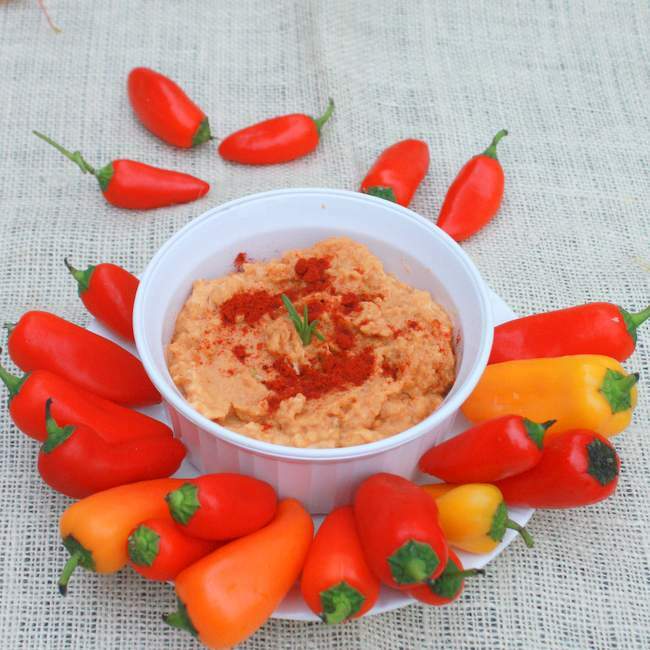 Or try Sweet Potato Hummus Dip: mashed canned sweet potatoes + hummus + smoked paprika. Serve with sweet mini peppers. Lunchbox Surprise: Sweet potatoes + dried cranberries + pecans. It counts as a dessert and a veggie. My kids agree! Substitute 2 cans of sweet potatoes for the roasted sweet potatoes in this Sweet Potato Soup with Grilled Cheese Croutons, which shortens the cooking time to this ultimate comfort-food recipe. Peanut butter and sweet potatoes are a classic combo. 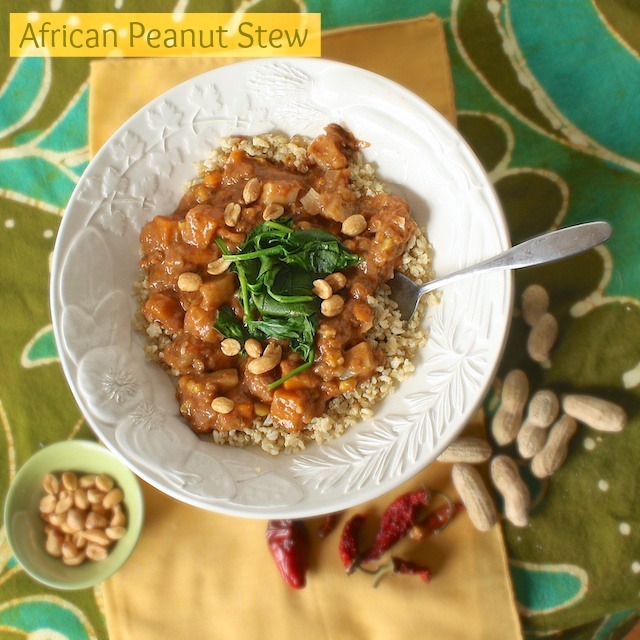 Just swap in a can of sweet potatoes in this African Peanut Stew. They will fall apart during cooking making the stew thick and creamy. This time of year, there are lots of canned food drives; donate nutrient-rich foods like canned sweet potatoes, tuna, canned chicken, canned beans and shelf-stable fresh fruit like oranges or grapefruit. Are you a canned sweet potato fan? Lots of great ideas! 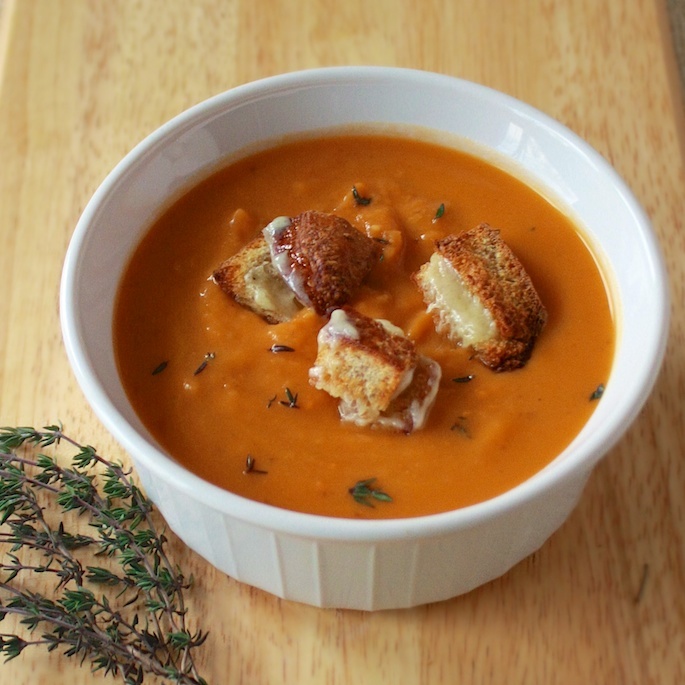 The grilled cheese croutons sound like a delicious addition to the sweet potato soup. I’ll have to give it a try! Honestly I have never bought canned sweet potatoes, but the convenience in the recipes above is really nice. Will look out for them – wish we had Aldi! Dips and quick soups are perfect! So is using them for baked goods or pancakes! I am a huge fan of sweet potatoes so I absolutely love these ideas! I had never heard of Aldi until FNCE this year – seems like a great store. 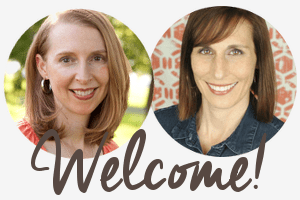 Can’t wait to read about your test-kitchen tour! This soup is simple to make yet delicious. It’s just a perfect option during this cold winter. This sweet potatoes soup looks like one that warms your soul too Will try to make one soon. I hope it warms your soul soon Diane! Thanks so much for stopping by! Sweet potatoes make a great base for chocolate pudding; I’ve used fresh mashed sweet potatoes + melted chocolate chips, but since most canned sweet potatoes seem to be sweetened, maybe just adding cocoa powder would work (plus a little cream or cashew butter or something for creaminess). Oh my goodness! This sounds delicious. I will try this!